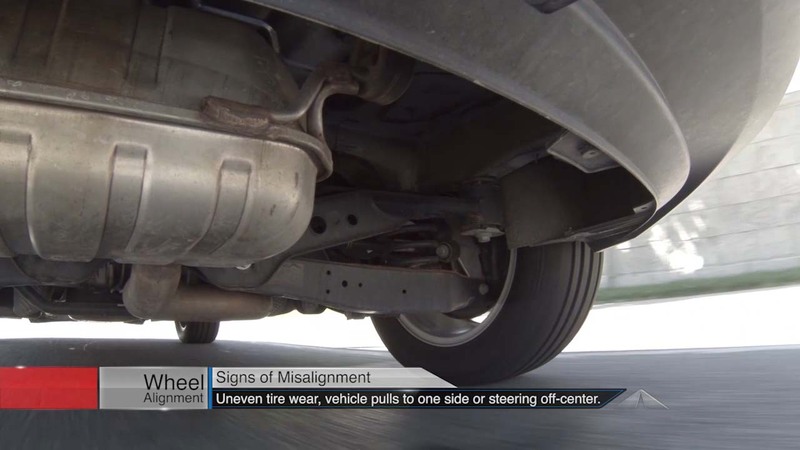 Uneven tire wear, the vehicle pulling to one side or a steering wheel that is off-center are signs for Upper St Clair car owners that their wheels may be out of alignment. When doing an alignment inspection, the technician will inspect your tires for uneven wear as well as suspension and steering parts for signs of wear or damage. He’ll also compare your current alignment with the auto maker’s settings. Your vehicle owner’s manual will have a recommendation for when to check alignment. Of course, this recommendation is based on normal driving. If you have been in accident, hit a curb/pothole, frequently drive off-road around Upper St Clair, or notice any symptoms of misalignment, have your Chuck’s Complete Auto Service technician carry out an essential alignment check.